Eleventh Floor Apparel: Canadian designers come to us for the development, execution and manufacturing of their esteemed collections. Download Internet Explorer 8 or Firefox. Pricing Estimates - Investigating the time, labour and materials required per garment. 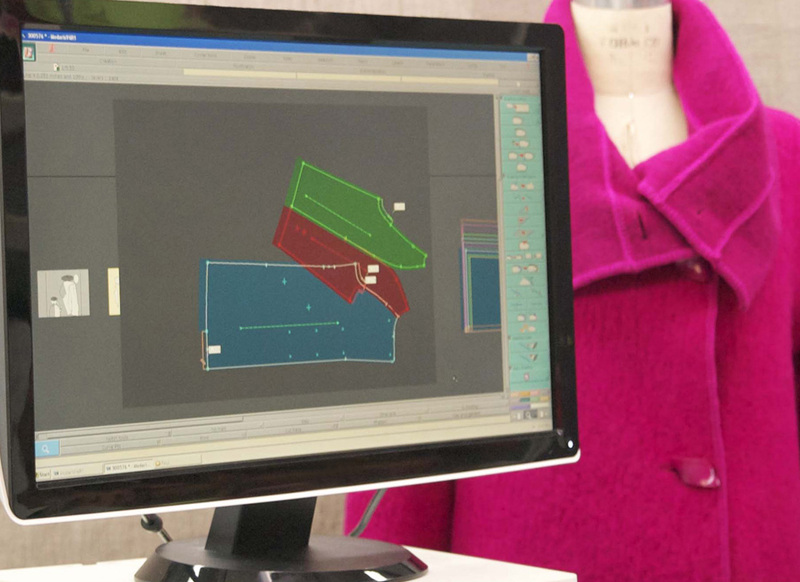 Digitized Pattern Making - Using our Computer Aided Design (CAD) system by Lectra. First Sample Production - Crafted with precision to bring the designer's vision to life. Fabric & Notion Management - Including diligent fabric inspections and inventory updates. Automatic Spreading & Cutting - Using our Computer Aided Manufacturing (CAM) system by Lectra. Advanced Sewing Cells - With a focus on precision and quality control. Packing, Shipping & Receiving - Using our in-house global shipping facility. Customer Service & Order Processing - Our team offers effective solutions and an easily accessible toll free number.